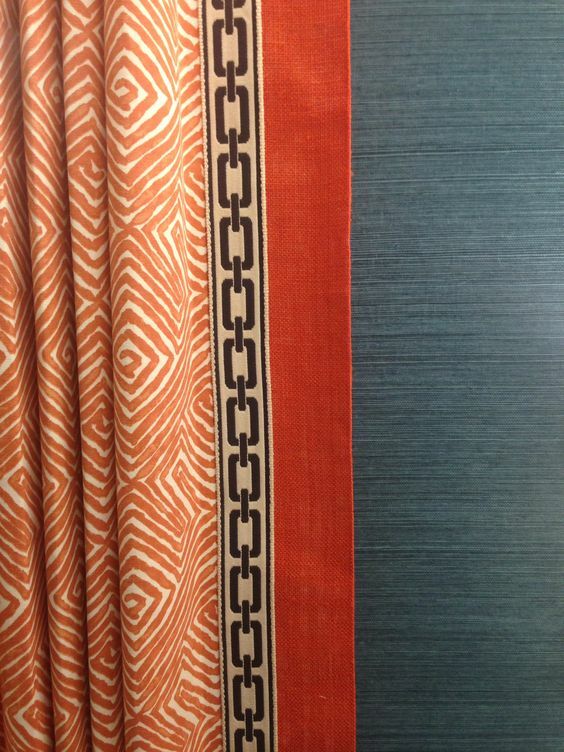 As a Window Treatment Expert for over 22 years, I have the joy of watching design trends come and go. From swags to Roman Shades, from pinch pleats to goblet pleats, I’ve seen it all and I’ve loved watching the fashion change every year. 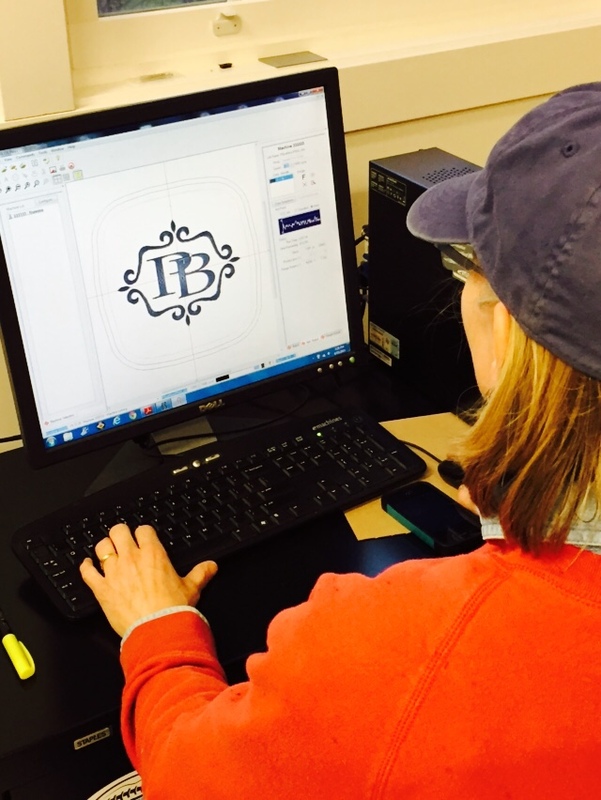 It makes each job special and keeps me on my designing toes. Right now, bands and trim are a popular way to add a unique touch to any design element in the room. We have books and books of bands and trims in the workroom to outfit pillows, window treatments, ottomans, and even lamp shades. 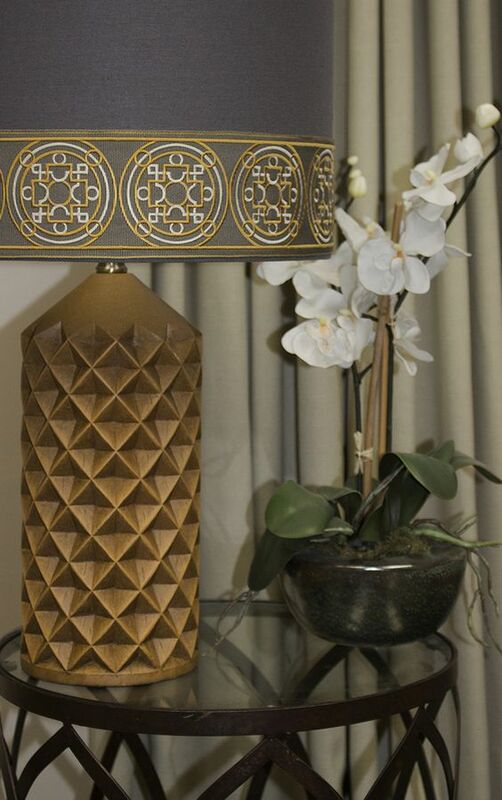 With creative accents like these, the possibilities are endless! Here is some beautifully unique banding by Samuel and Sons. I love the way this banding compliments the wall color and adds a funky edge. 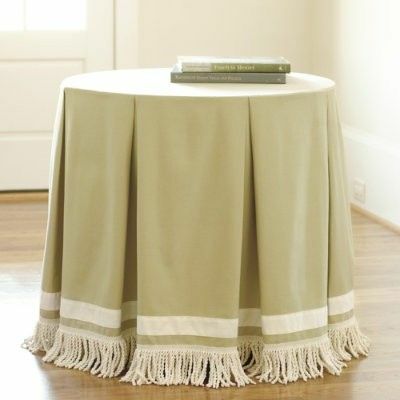 The white banding on this table lends a sophisticated element to the tablecloth. Putting banding on a lampshade is fun and different! I love this one here by Brimar. 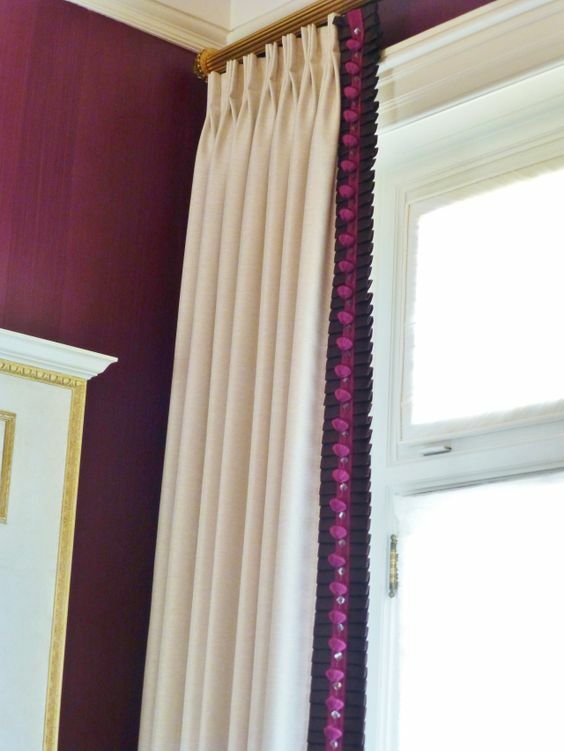 This is also a wonderful example of banding that compliments the exciting patterns of this window treatment. Let me know what your favorite is! There are so many creative ways to incorporate banding. I can’t wait to see which one you like best. Recently the lighting store, Patti Bros, contacted me about an opportunity to showcase some examples of my window treatments on their windows in their newly renovated store. For the past several weeks, I’ve had a phenomenal time picking out fabrics, trims, and treatment styles to display on their windows. Each treatment ended up being a different style, giving me a chance to really get creative. 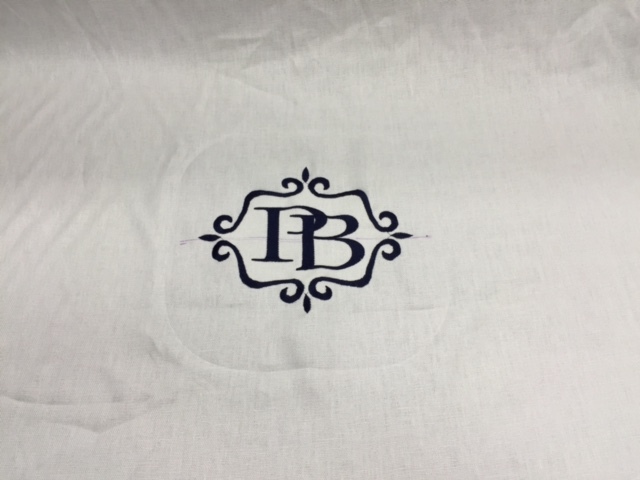 The center display, however, gave me the chance to do something new: add personalized embroidery to a window treatment. 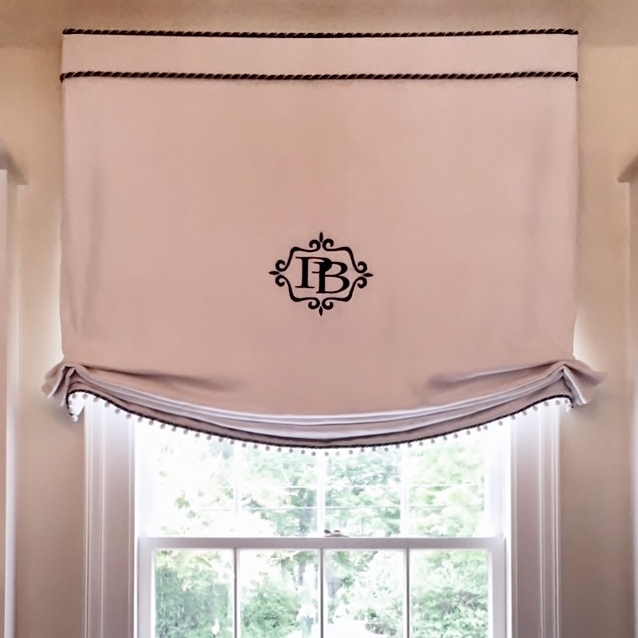 I decided on a Relaxed Roman for that window, which is a simple but elegant design that perfectly showcased the Patti Bros. emblem I had embroidered on the center. 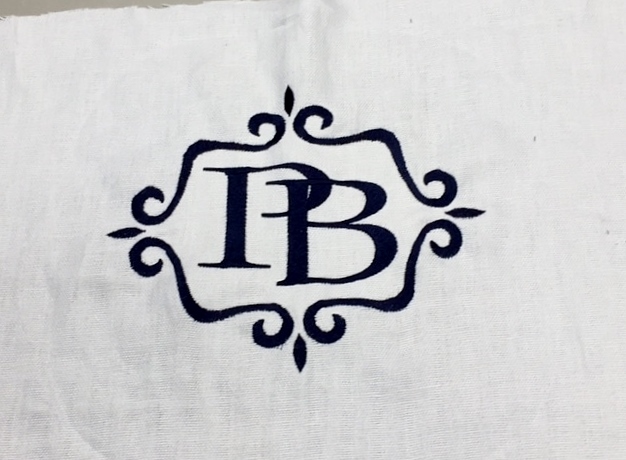 The process to add personalized embroidery to the Roman was a surprisingly pleasant and easy experience. 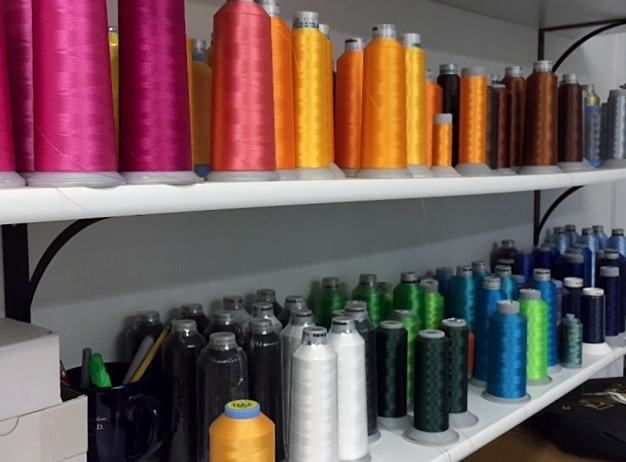 Step 1 – I went to the embroidery shop to pick out the thread color. There were so many different choices! Luckily I already had an idea of what I wanted and just needed to find the perfect shade. Step 2 – We tweaked the potential design on the computer and added decorative scrolls to the emblem to dress it up. Then it was time to make a sample! 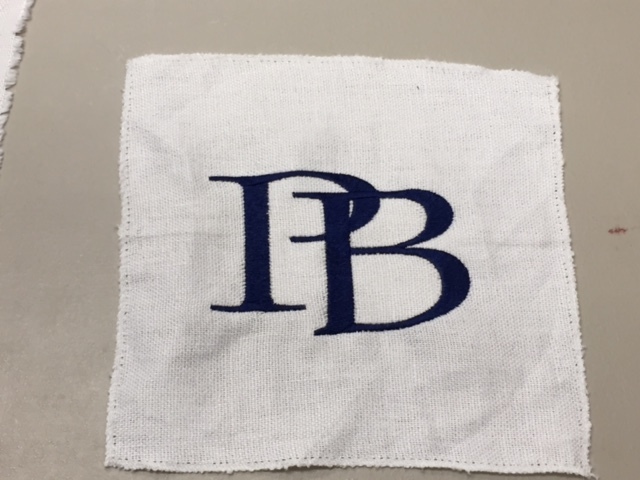 Step 3 – We created a few samples to make sure we had exactly what I envisioned. 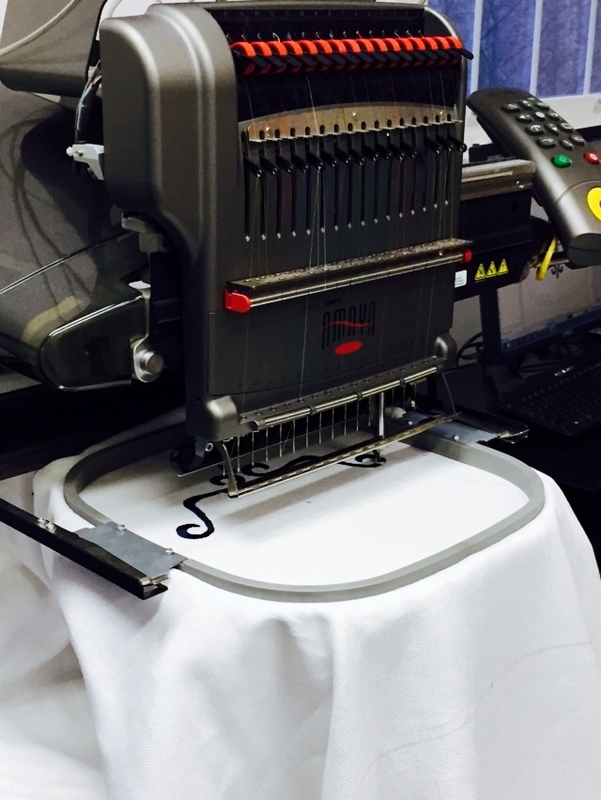 Step 4 – The embroidery machine created the emblem on the center of the Relaxed Roman fabric. Once the emblem was made, there were still a few things I had to do myself, like add blackout lining to the fabric to keep the embroidered design clear and beautiful despite the sun’s strong rays. 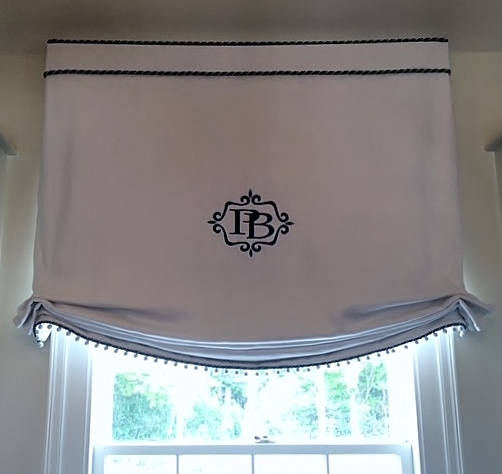 Then I used the fabric, keeping the emblem centered, to make my finished Relaxed Roman shades. The shades are now installed at the Patti Bros. shop and I love the way they immediately draw your eyes when you enter the shop. The embroidery just sets off the whole design and makes it pop. 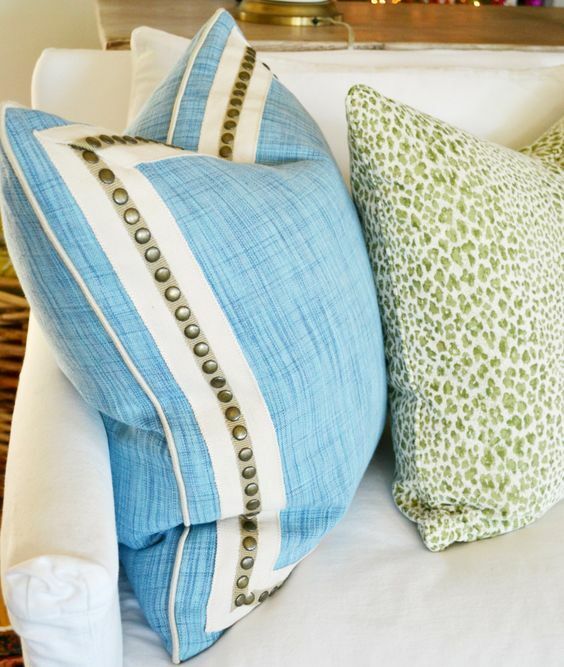 But embroidery doesn’t have to be limited to window shades alone – you can embroider valances, pillow shams, pillows, shower curtains, and more! The possibilities are endless! 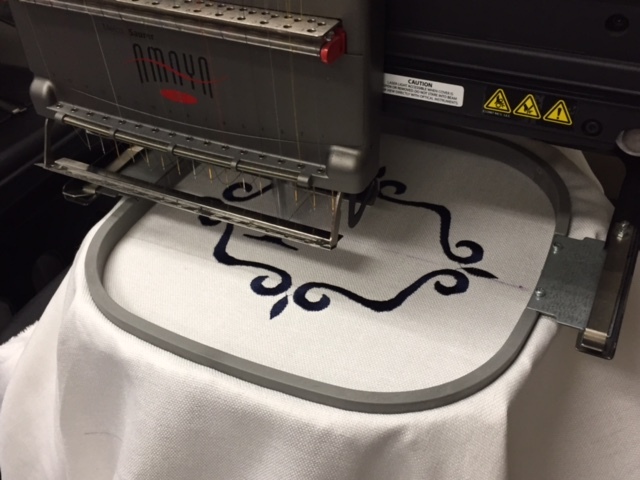 Take a look at a few more “Behind the Scenes” pictures of the embroidery process below!